Yli-Piipari S, Zaman K, Fish J, Hnat T. Validation of K-Sense against Indirect Calorimetry and Accelerometry. Human Movement. 2019;20(1):38-47. doi:10.5114/hm.2019.79042. Yli-Piipari, Sami, Kazi I. Zaman, Joseph C. Fish, and Timothy W. Hnat. 2019. "Validation of K-Sense against Indirect Calorimetry and Accelerometry". 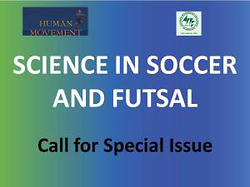 Human Movement 20 (1): 38-47. doi:10.5114/hm.2019.79042. Yli-Piipari, Sami et al. "Validation of K-Sense against Indirect Calorimetry and Accelerometry." Human Movement, vol. 20, no. 1, 2019, pp. 38-47. doi:10.5114/hm.2019.79042. Considering the difficulty of accurately estimating energy expenditure (EE) in habitual physical activity (PA), efforts to improve estimation accuracy are well warranted. The aim of the study was, first, to validate the K-Sense EE estimation system to improve EE estimation accuracy of human low-intensity activities, and, second, to compare K-Sense EE estimation values against ActiGraph (GT3X+) accelerometer-derived EE estimates. A comparative analysis investigated the K-Sense EE estimation values against indirect calorimetry and ActiGraph (GT3X+) EE estimates. A sample of 18 participants (age: 24.0 ± 5.2 years) performed eight sedentary/low intensity lifestyle activities, each wearing K-Sense with sensors attached to right wrist and ankle. The K-Sense estimation accuracy ranged from 89.4% to 99.9%, outperforming ActiGraph equations, which were found to overestimate EE of these low-intensity activities, achieving 70.3% estimation accuracy at best. T-tests showed no statistically significant differences between K-Sense and indirect calorimetry values. Bland-Altman plots, however, illustrated an EE estimation error ranging from –9 to 7 kcal (with 95% confidence limits of agreement) among individuals. EE evaluation with low-cost inertial measurement units, such as those found in K-Sense, is a valid method in comparison with indirect calorimetry and ActiGraph accelerometry.